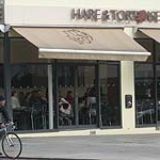 The Hare and Tortoise serves a variety of Japanese cuisine and traditional Oriental dishes within comfortable surroundings. 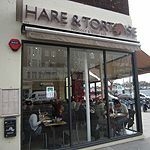 Do you work at Hare and Tortoise? What did you think of Hare and Tortoise? Love eating here as the food has never disappointed me! This place is a regular for me as I often meet a client here for a quick lunch. Given the sheer variety of cuisines on offer I find it astounding that the chefs can push out (in record speed) very acceptable versions of food I have loved in my Southeast Asian travels. Whether Japanese (sushi, tempura), Chinese (roast duck rice), Singaporean (Hainan chicken rice) or Malaysian (curry laksa) I have been very impressed. A small list of wines and beer (including Tsingtao) is available. And all this for a bargain price served by pretty, friendly and efficient waitresses. I can't fault it apart from the fact that it is often full up!